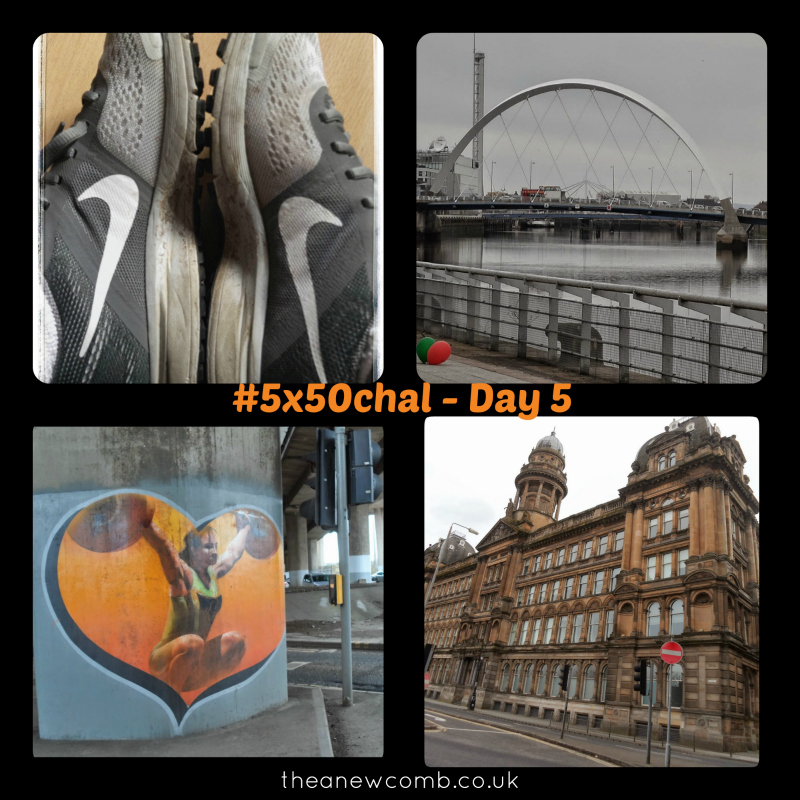 Not much to report for today’s #5x50chal…Did a normal workout in the AM (8 minute abs). I trained for 3 hours – on my feet – so I’d done 12,000 steps before I even went to do my workout today which was a long walk. Well, longish. It was pretty good going too because frankly I felt like sleeping rather than walking but forced myself and played 2 Social Media Examiner podcasts. Learning on the go. I recommend it.